Chief Sam Jenkins learns of an illegal card game and the sale of moonshine at the Iron Skillet restaurant and decides to raid the premises. That looked straight forward until a firearms examiner links a confiscated handgun to an unsolved homicide. 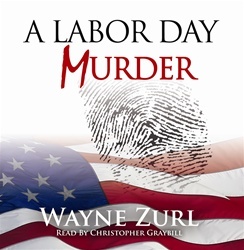 Jenkins encounters political corruption, domestic abuse, and a cover-up in his pursuit to solve the murder. At 11:30 Saturday night six of the twelve cops employed by Prospect PD and I waited outside the Iron Skillet on Sevierville Road. Five of us had driven our personally-owned pick-up trucks to haul away the furniture, file cabinets, and other accouterments used by the owner to promote gambling and sell untaxed alcoholic beverages. Officers Bobby John Crockett and Vernon Hobbs slammed on the front door. Harlan Flatt, Leonard Alcock, and Junior Huskey covered the back door and the windows at the rear of the restaurant. Stanley [Rose]and I moseyed up to the front. A man looking like a bartender answered the door. The two cops pushed their way in. Stan and I followed. “Police department, we have a search warrant. Nobody move!” Bobby called out. No one moved. “Where’s Audie Blevins?” I asked, waving a copy of the [search] warrant in my left hand. “That would be me,” said a short, well dressed man of about sixty. I handed him the paper. I told Bobby Crockett to open the back door and let the three other cops in. While Stan and I took names and capped the drinks on the tables with Glad-Wrap, the boys searched the restaurant, the adjacent office, and the storerooms. The quickest way to put pressure on a restaurant owner is to threaten to take away their liquor license. I demanded a copy of his from Audie Blevins. As I recorded all that information, Junior Huskey got my attention. “Sam, look-it here.” He gave me two folders and a well stuffed, padded manila envelope. One folder was marked players, the other was unmarked; the envelope was full of cash. I looked over the two page list of players. There were over thirty names with telephone numbers. The unmarked folder had several loose-leaf pages showing dates and dollar figures. The dates went back more than two years to March of 2005. Crockett and Harley Flatt carried in four plastic gallon milk jugs all full of clear liquid. He popped the cap off one jug and lifted it to my nose. “Yahoo.” I took a half step backwards. “Smells like pure alcohol; must be 190 proof or better,” I said, and turned to the closest table of players. “Any of you guys feel like you’re going blind?” No one seemed to enjoy my attempt at humor. “Confiscate everything and box up all these glasses we’ve put tops on. We’ll let the Alcohol, Tobacco, and Firearms people analyze this for us,” I told Harley. Then Vern Hobbs walked up, extended his hand and showed me a large revolver. It was an old Smith and Wesson model 1917, .45 caliber revolver; a revolver that fired .45 automatic ammunition. “Hey, can you buy the luck you always seem to have?” [FBI Special Agent] Ralph Oliveri asked, several days later.